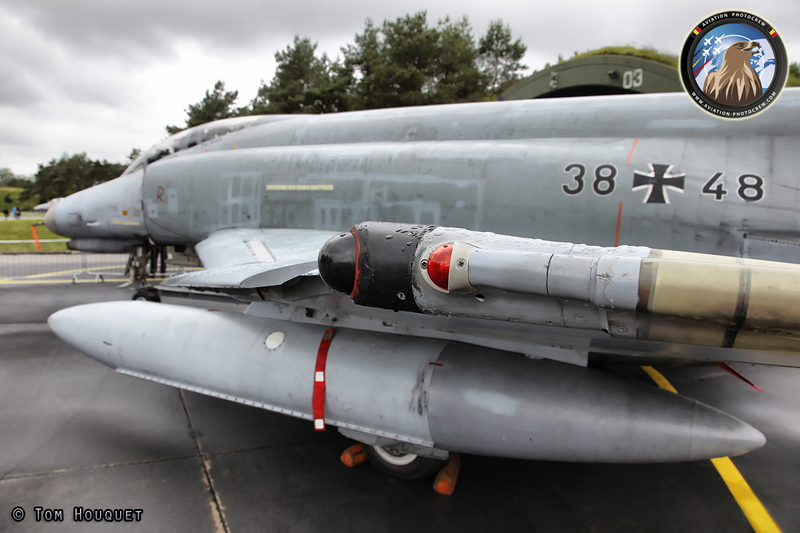 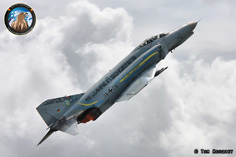 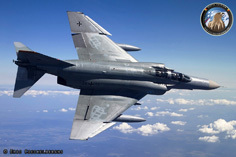 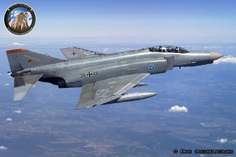 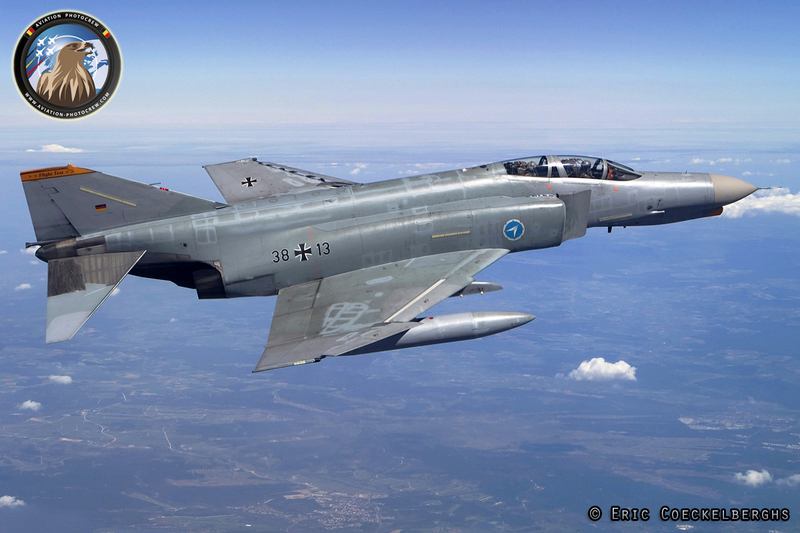 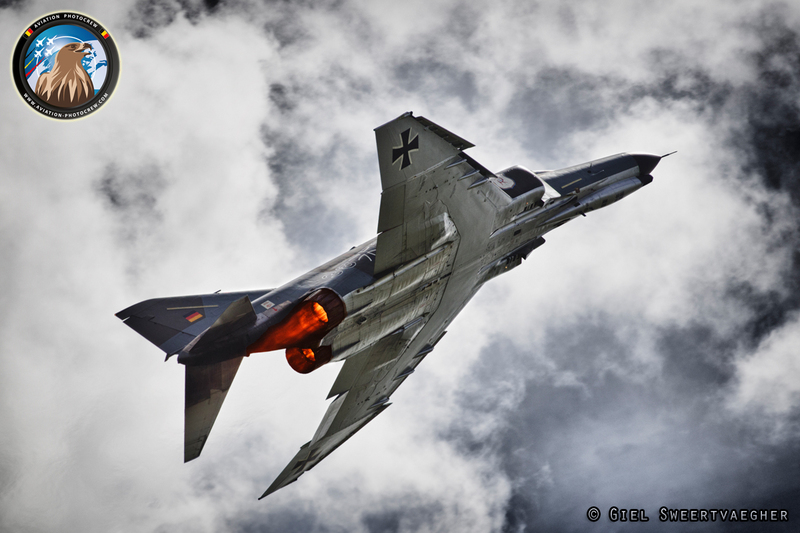 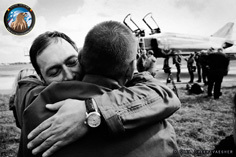 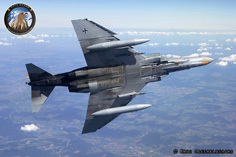 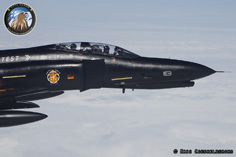 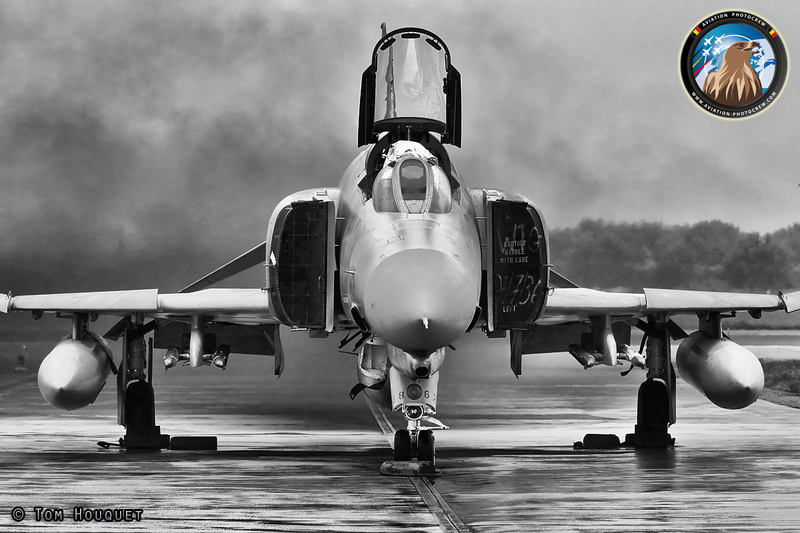 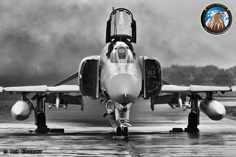 June 29, 2013 was an important day in the historical books of the German Air Force, after more than 40 years, the F-4 Phantom was retired from operational service. 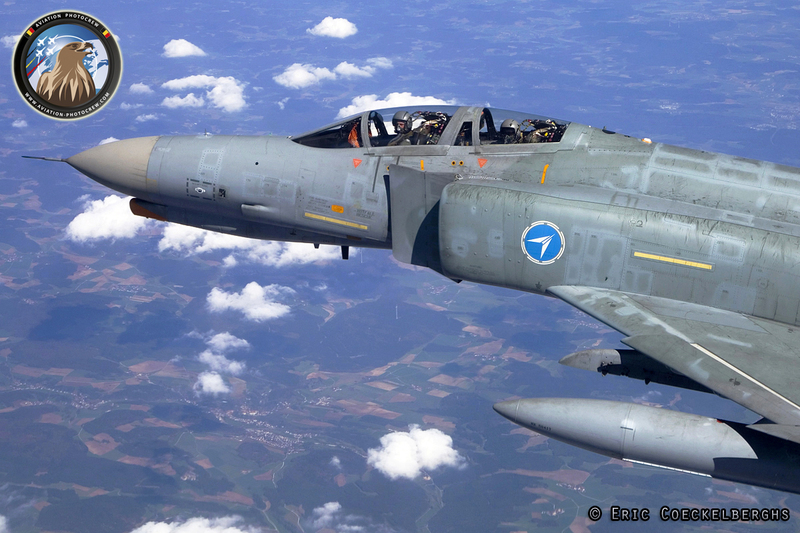 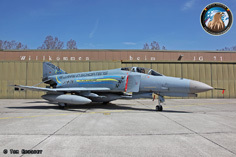 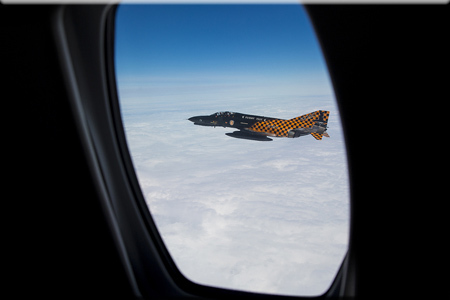 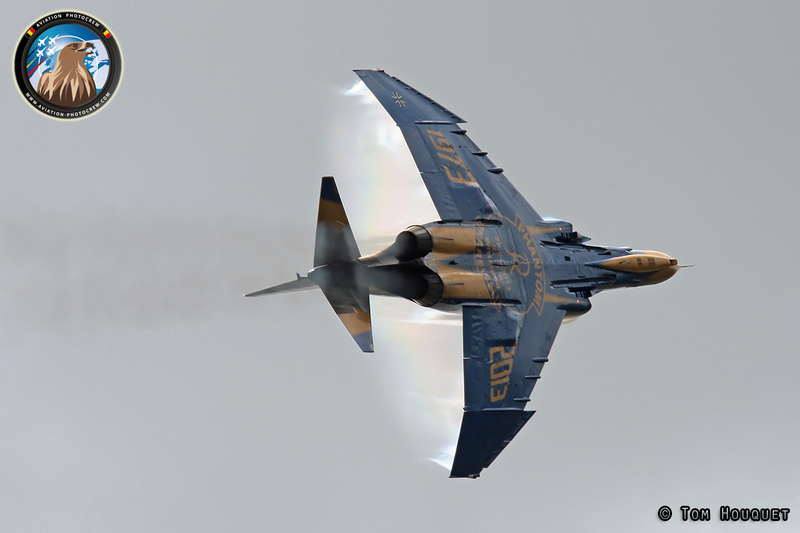 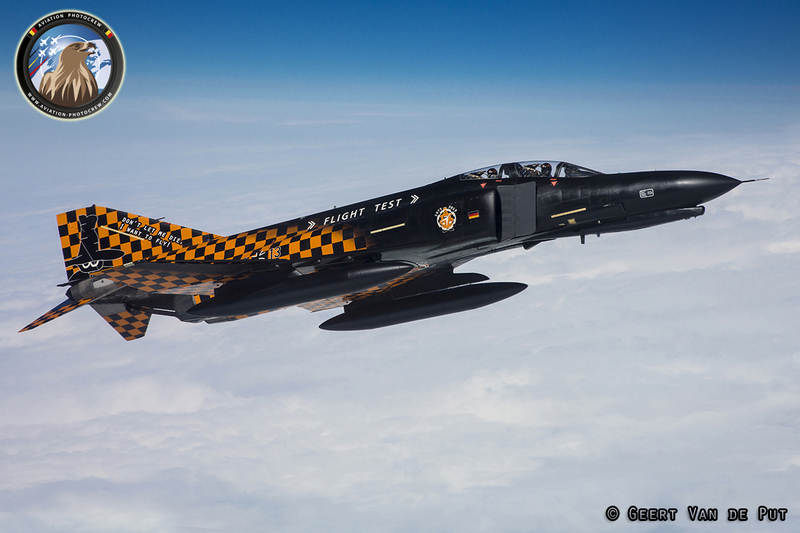 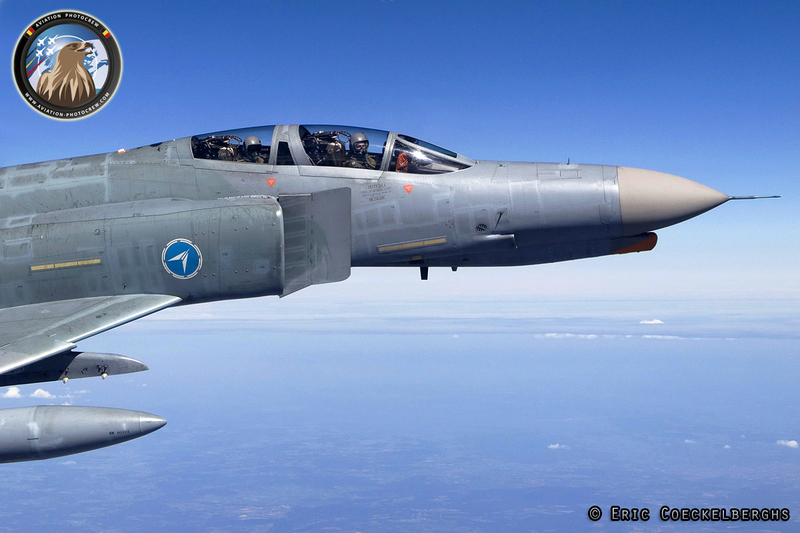 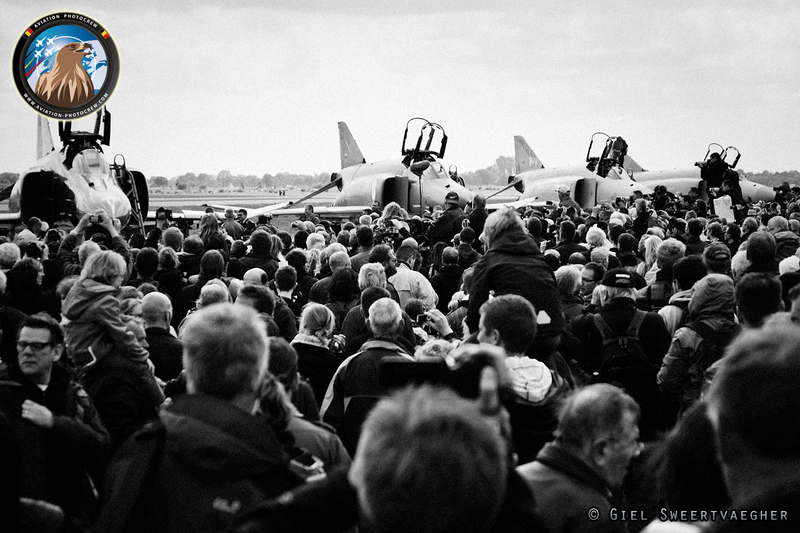 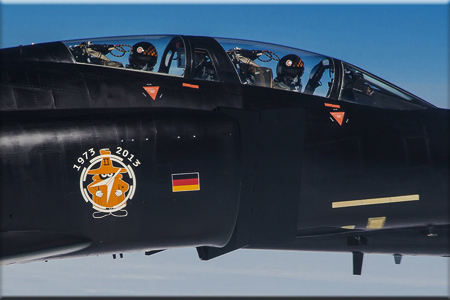 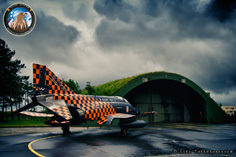 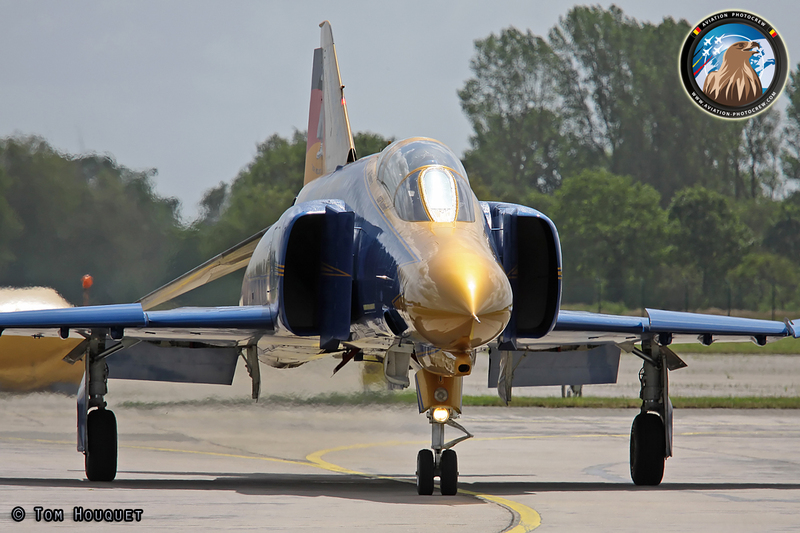 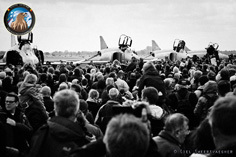 Celebrated with a large Phantom Pharewell event at Wittmund, thousands of people from all over the world visited the Frisian base to pay tribute to this magnificent aircraft. Till the last day, the JG71 ‘Richthofen’ squadron served the country in the QRA role, guarding the skies over Germany. 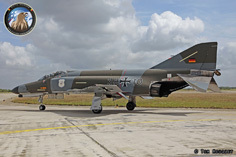 For the occasion of the phly-out, three Phantoms were painted-up to represent the different retro color schemes used during the period the Luftwaffe operated the aircraft. 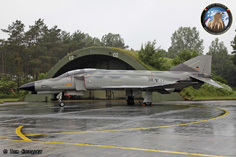 38+10 was painted in ‘Norm 72’ colors used in the 1970’s, 38+33 was painted in ‘Norm 81’ camouflage, while 38+22 represented the latest two-tone grey camouflage. 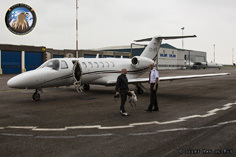 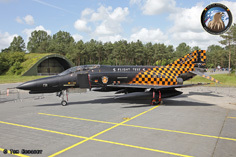 The event could not take place without a dedicated special painted aircraft. 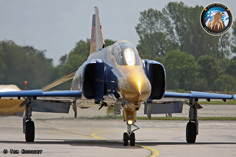 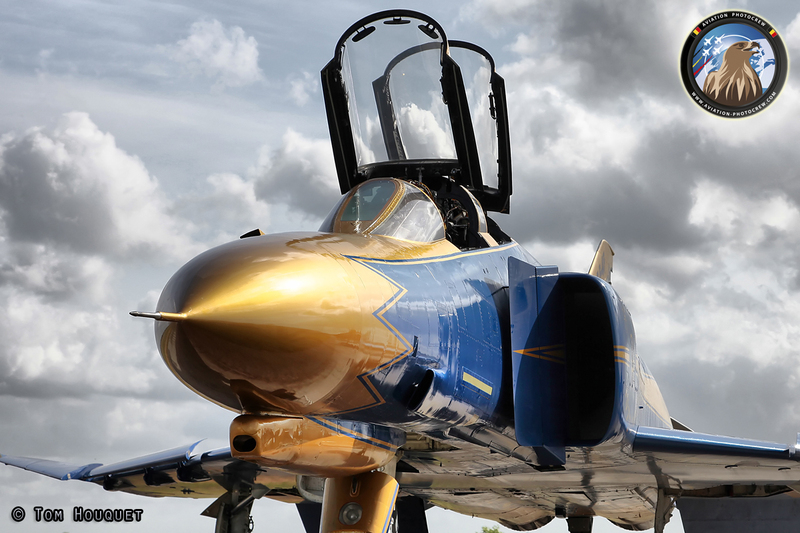 JG71 gave 37+01 a striking golden and blue paintscheme with the ‘first in - last out’ titles as this Phantom was the first one to be delivered. 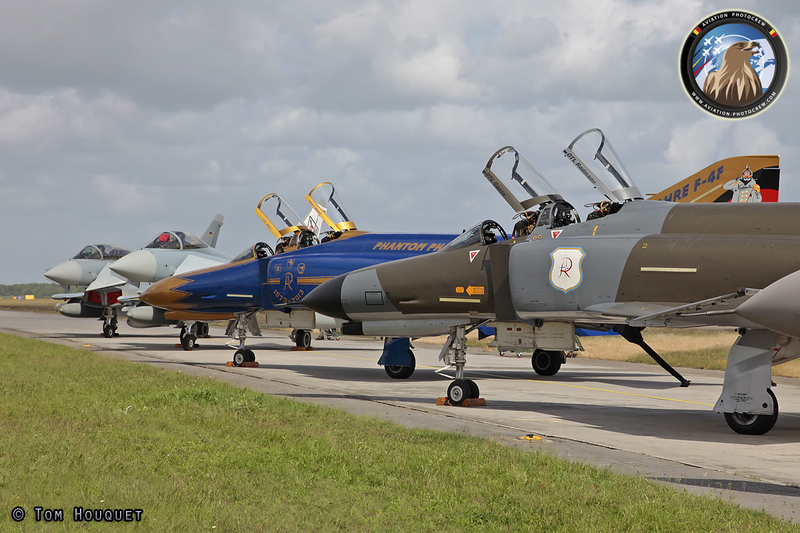 During the Pharewell event, the four JG71 special colored Phantoms performed a nice display marking the official end of Phantom operations. 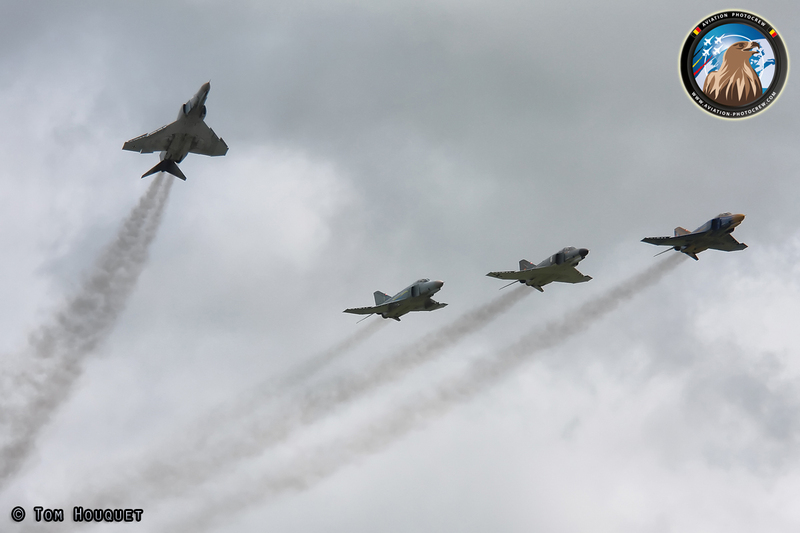 After some 4-ship formation fly passes, the aircraft made some great low approaches over the runway and taxi past the crowd after landing. 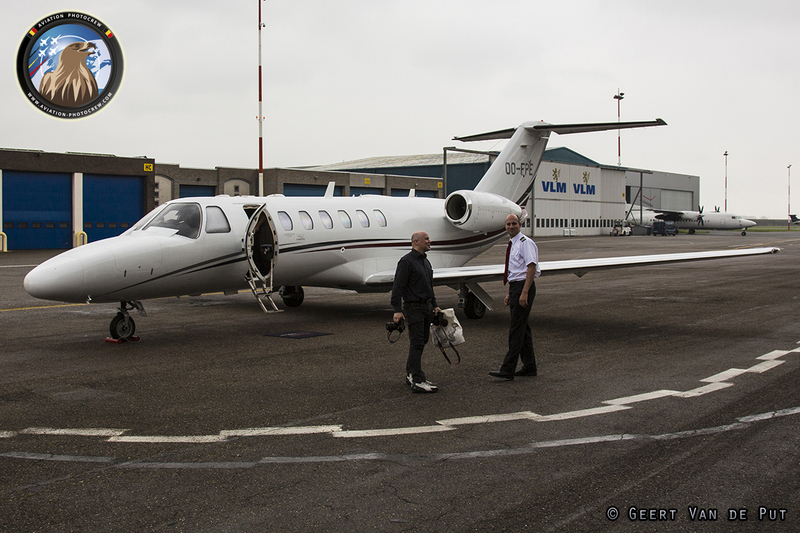 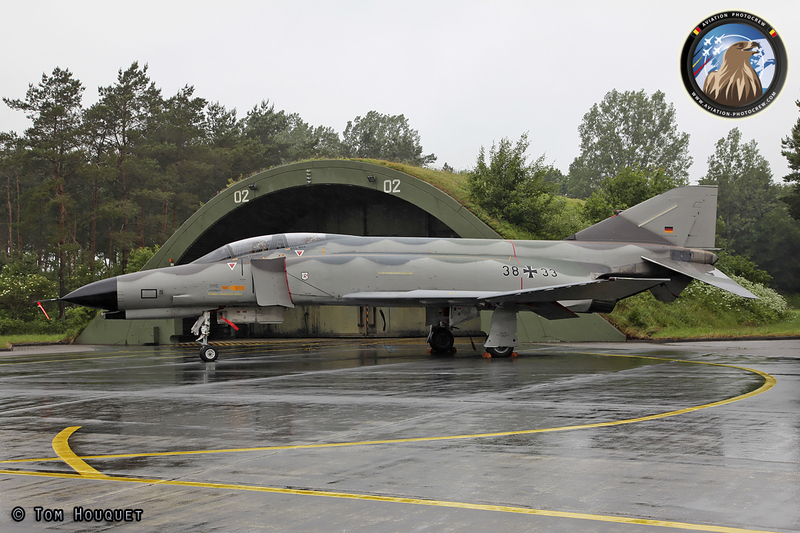 They were nicely parked on the taxiway close to the fence line, next to their future jets, the Eurofighter. From July 1st on, the QRA tasking will be taken over by the Eurofighter. 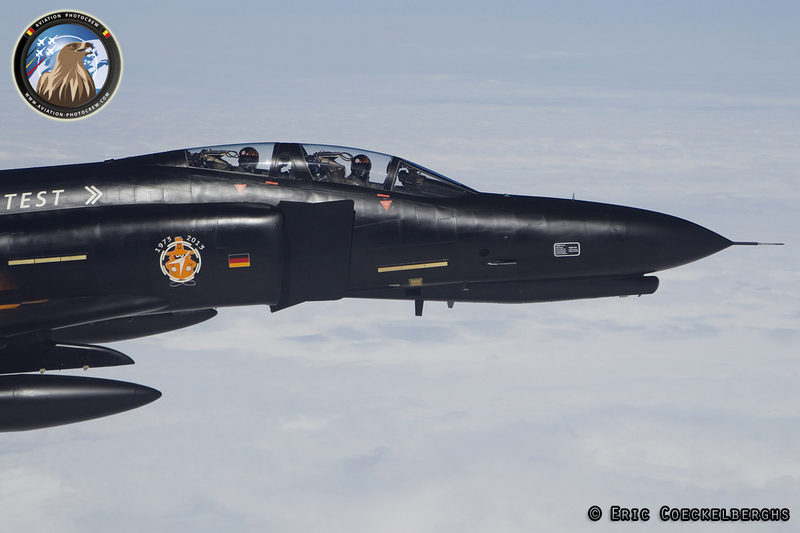 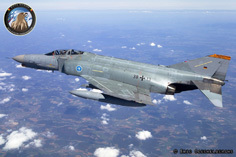 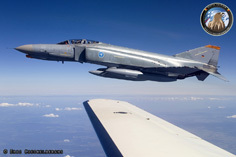 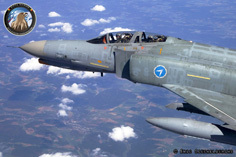 Not only JG71 operated the F-4 Phantom till the last day, the Test and Evaluation Squadron WTD61, based at Manching Air Base, also used the Phantom as flying platform. 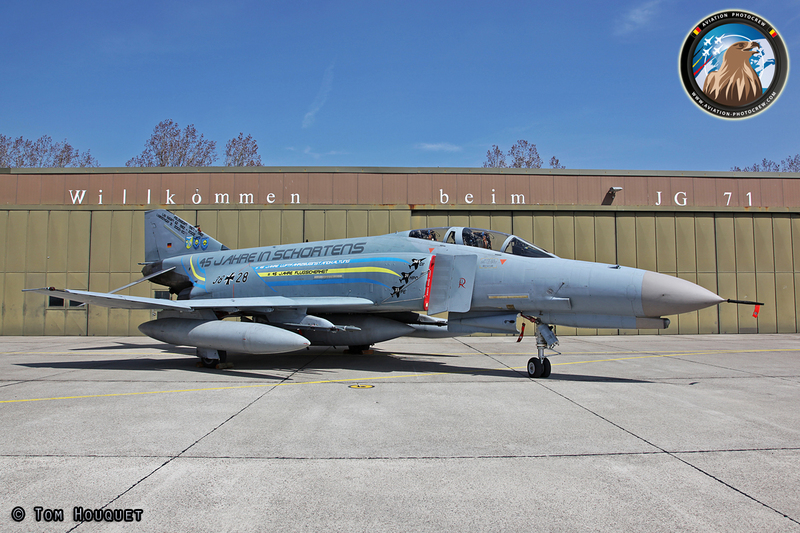 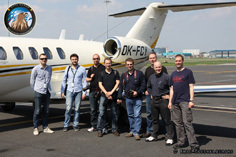 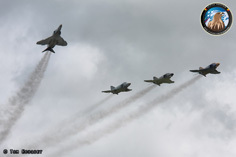 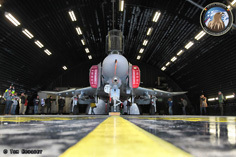 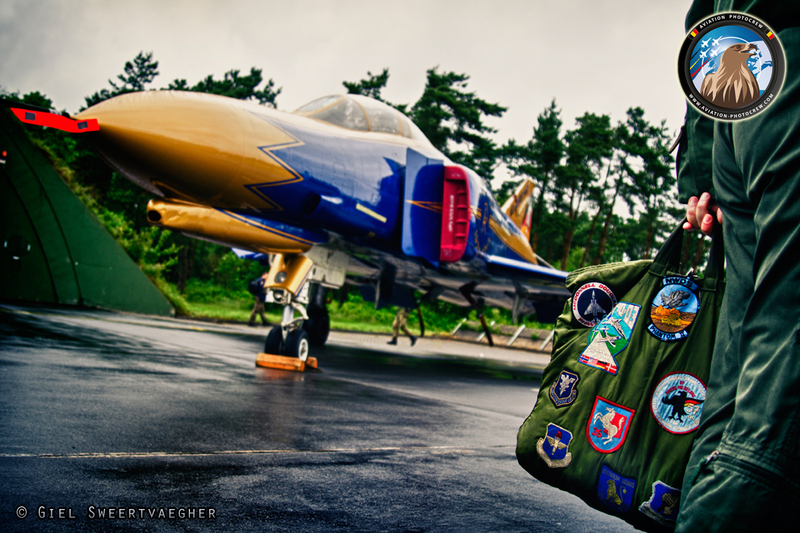 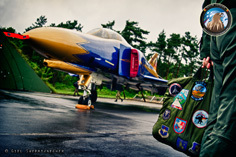 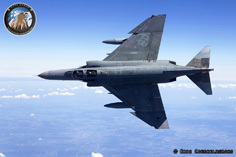 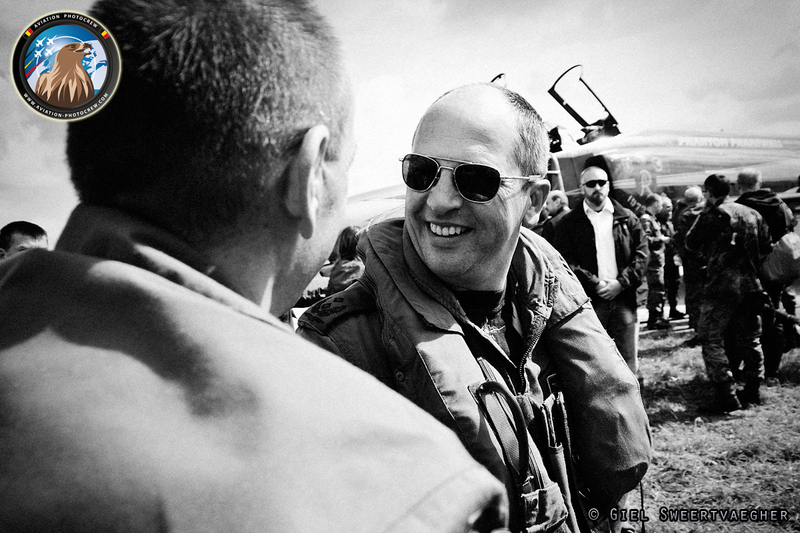 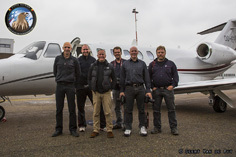 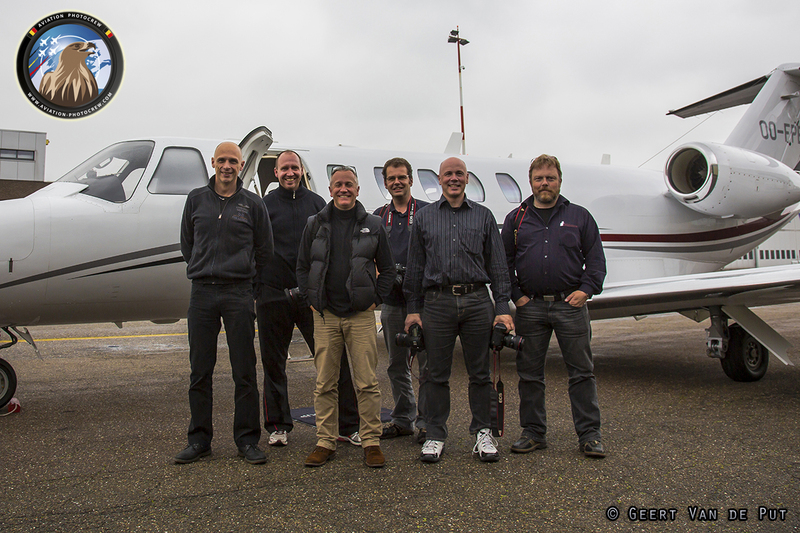 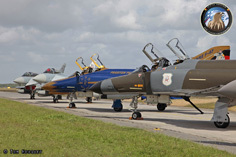 Two Jets visited the Pharewell event at Wittmund, of which 38+15 was equipped with a whole array of test equipment. 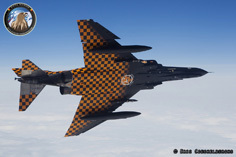 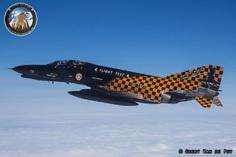 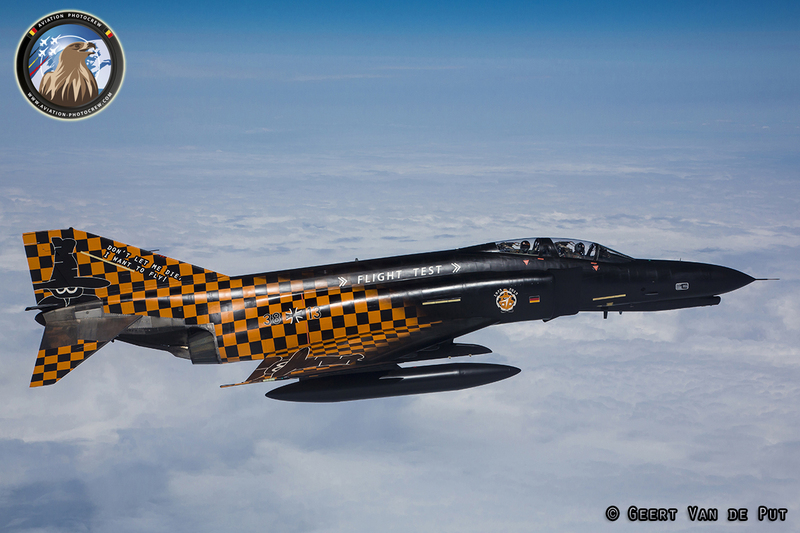 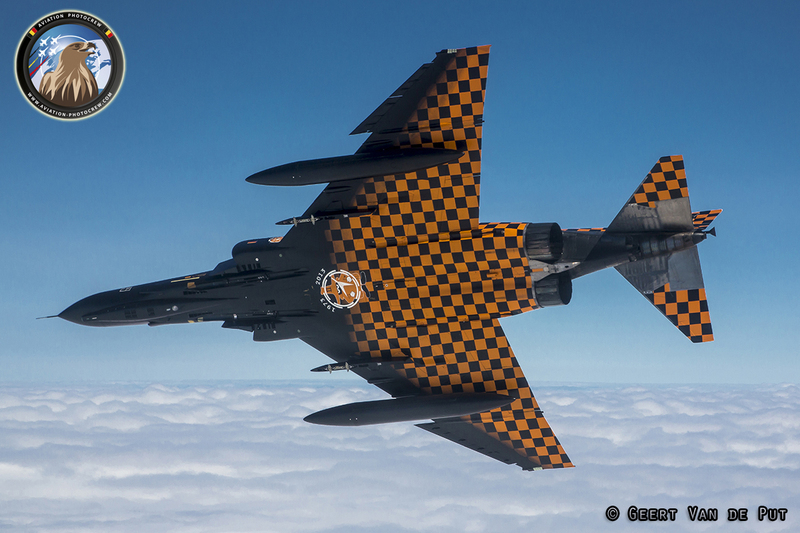 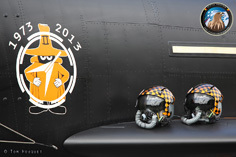 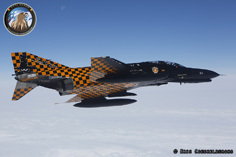 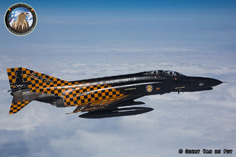 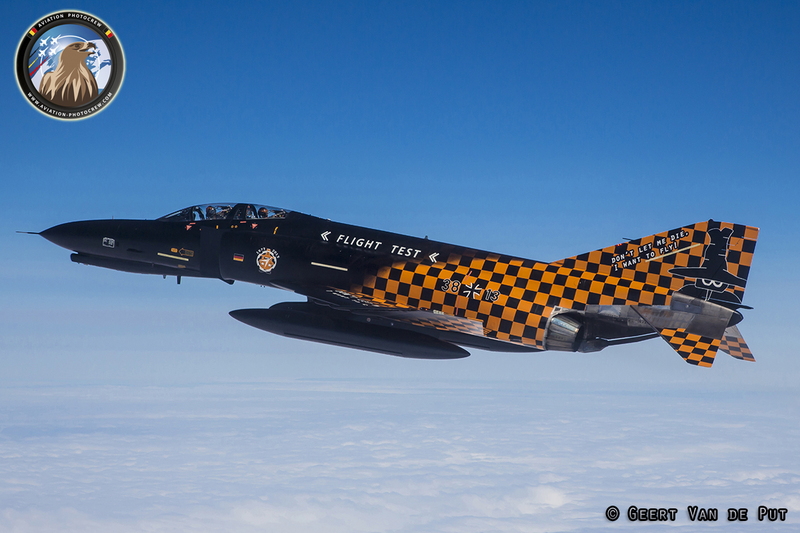 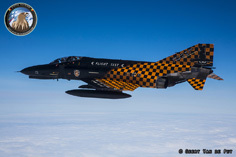 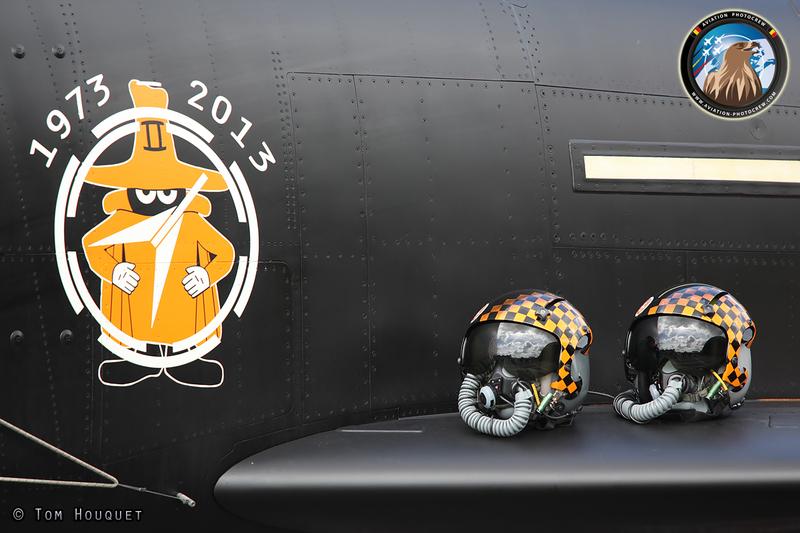 For the occasion, one of the Phantoms was also painted in a striking black and orange color scheme marking ‘Don’t let me die, I want to fly’ on the tail, paying tribute to the flying legend. 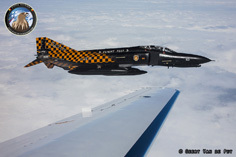 Hereby we would like to thank everyone who made these special photographs possible, wishing all the Phantom crews much success reaching new horizons.